LiteWork Events is heading to Oak Bluffs, Martha’s Vineyard for the fourth year! 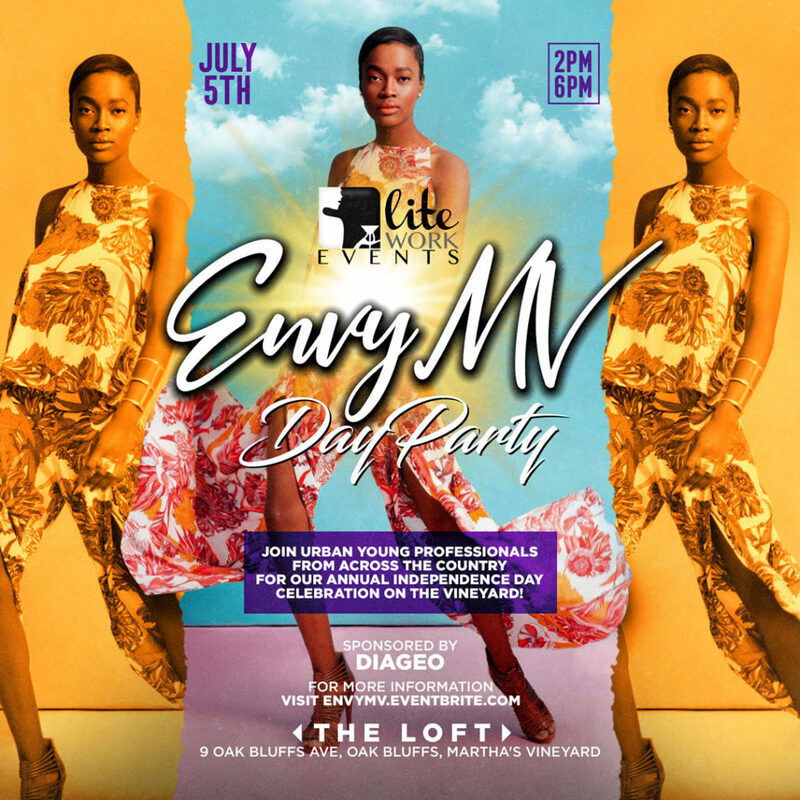 If you’re not on the Vineyard this 4th of July Weekend, you will definitely #EnvyMV! Be the envy of your social circles this Independence Day Weekend as you party with urban young professionals from New York, New England and beyond in historic Oak Bluffs, Martha’s Vineyard! This event SELLS OUT every year. Don’t miss out! Entry to the party ONLY. You must purchase your ferry ticket separately with this ticket. Bus will pick up PROMPTLY at 8:30 AM. Exact location to be announced. Party starts at 2 PM. Feel free to explore the island, grab a bite to eat, hit the beach or do whatever else your heart desires before the party! Ferry leaves Oak Bluffs for Woods Holes PROMPTLY at 8:30 PM on Friday July 5th. Please be back at the dock NO LATER THAN 8:15 PM!! If you miss the ferry, no refunds will be issued, and you must coordinate return transportation on your own. The private motorcoach will pick up from Falmouth at 9:00 PM and return to Boston at approximately 11:00 PM. Click below to purchase your tickets! LOOKING TO STAY ON THE VINEYARD?